One can always try to reach the source of the delicacies! 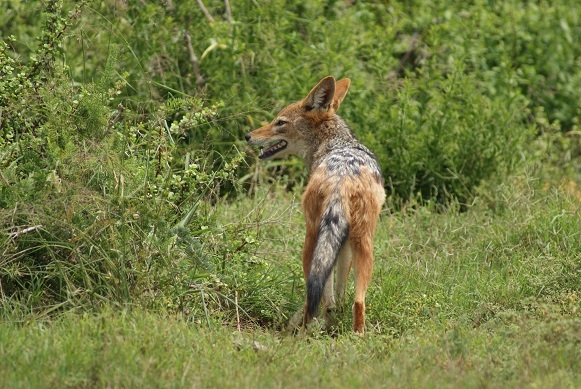 The Black-backed Jackal (Canus mesomelus) counts among my favourite animals to see in the wild. 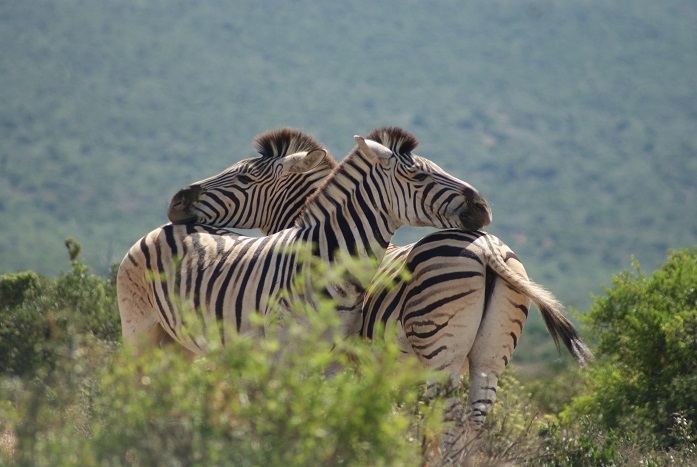 I have spent hours watching their social behaviour in the Kgalagadi Transfrontier Park and enjoy spotting them in the Addo Elephant and other National Parks. 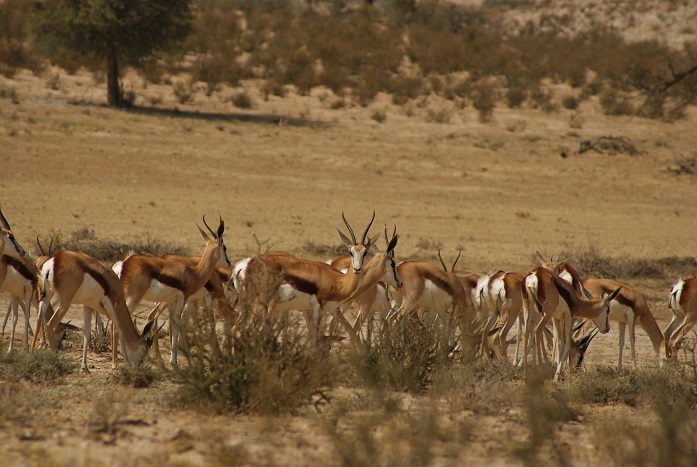 These omnivores have a special character about them: they look bright, alert and trot in the veld with a rather jaunty air, like this one in the Kgalagadi. 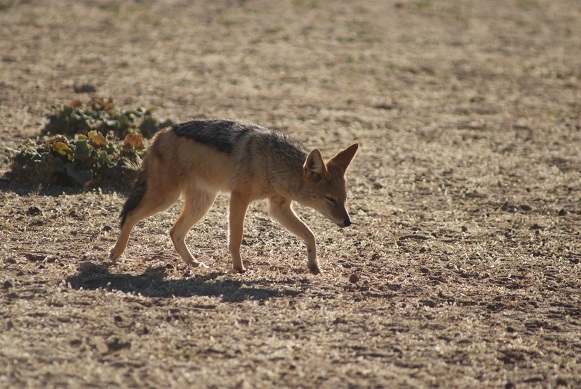 One of my favourite things when camping in the wild is to listen to the high wailing calls and yelps of the Black-backed Jackals from early in the evening through to the dawn. Sometimes you can make out the calls of one being answered by another and then another until there is a chorus of them. 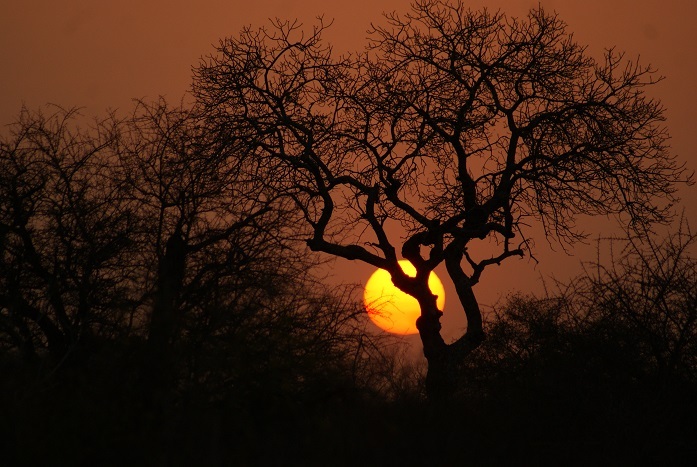 This, along with the call of the African Fish Eagle, is one of the iconic sounds of the South African bush. 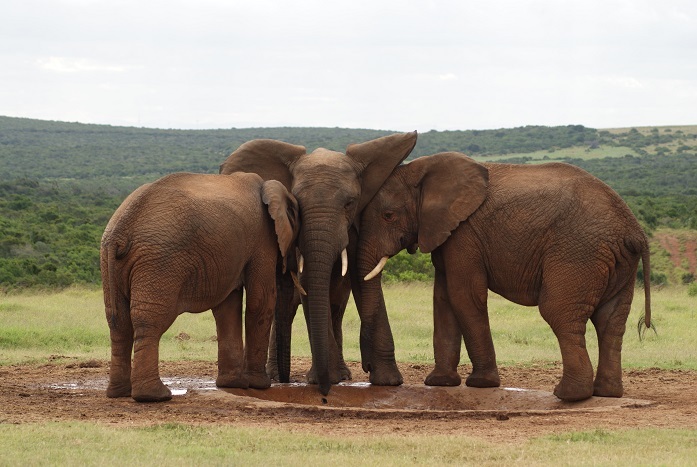 The one below was photographed in the Addo Elephant National Park. 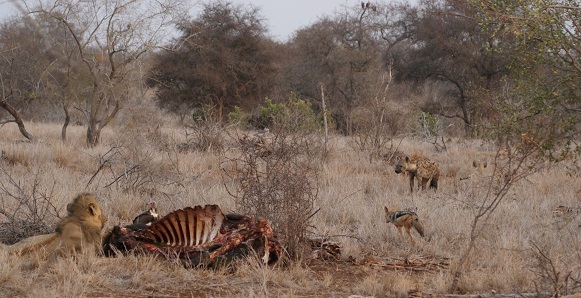 Black-backed Jackals are often regarded as cunning, intelligent scavengers which are quick to arrive at the scene of a lion kill, for example. One can see them darting in and out to get whatever they can of the feast – all the while keeping a wary eye on the lions and hyenas! 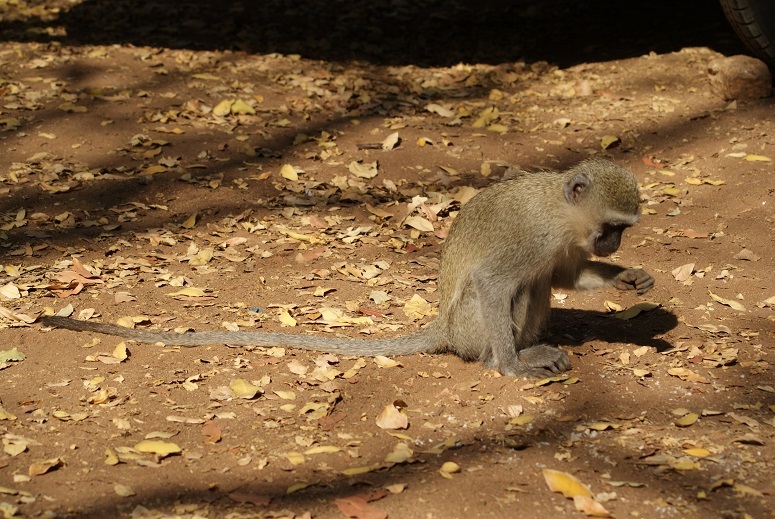 The kill featured below – in the Kruger National Park – was already a day old and the main feeders had already left it. Only an old and sickly lion was there to ineffectually defend it, with vultures, spotted hyenas and Black-backed Jackals ready to pick the carcass clean. 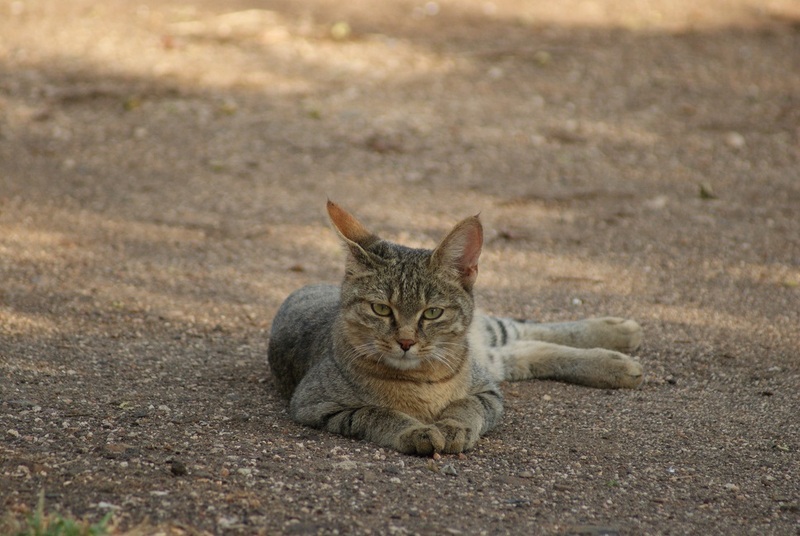 At first these photographs may strike you as being of an ordinary tabby cat. Not so. 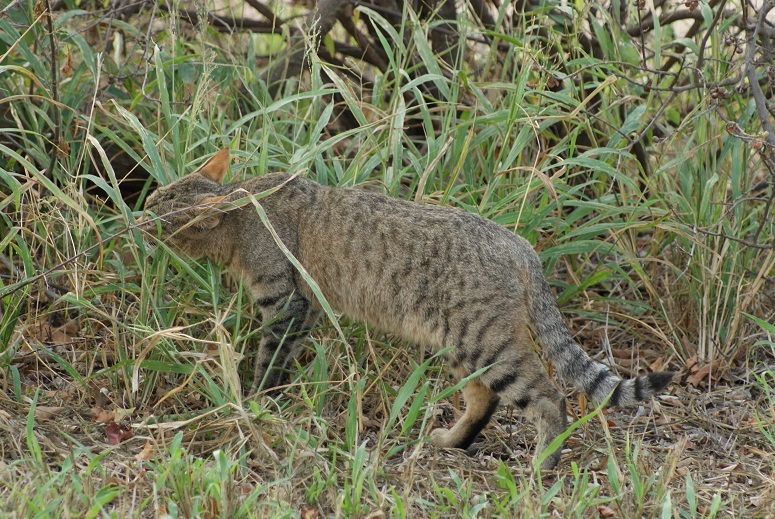 The African Wild Cat, (Felis Silvestris lybica) is an indigenous species which is larger and has longer legs than domestic cats. 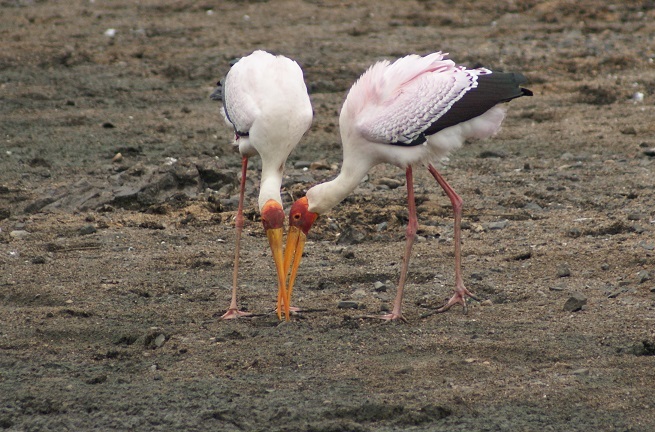 Their legs are banded, with darker markings being more distinct on the lower limbs. 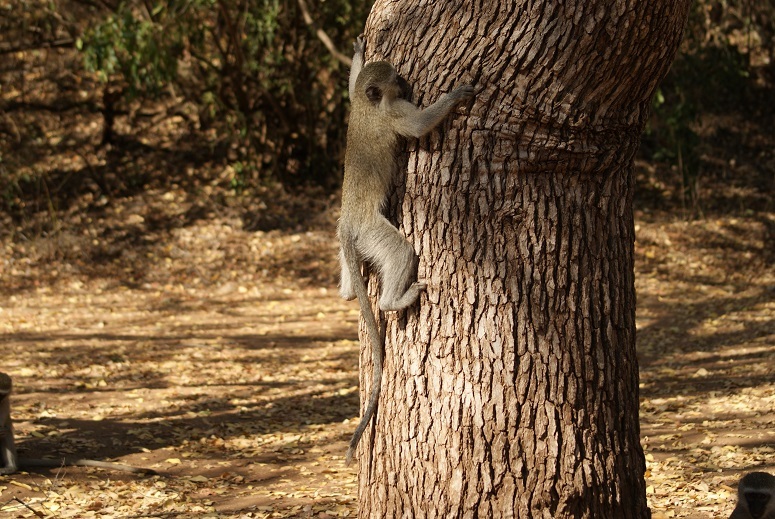 As you can see in this photograph, the relatively long tail is dark-ringed with black tip. 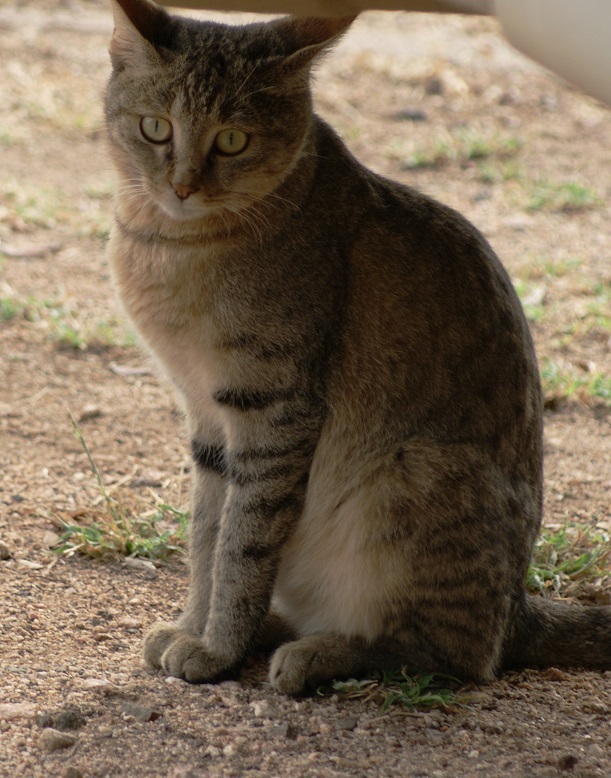 Said to be the ancestors of domestic cats, these animals are widespread throughout Africa. 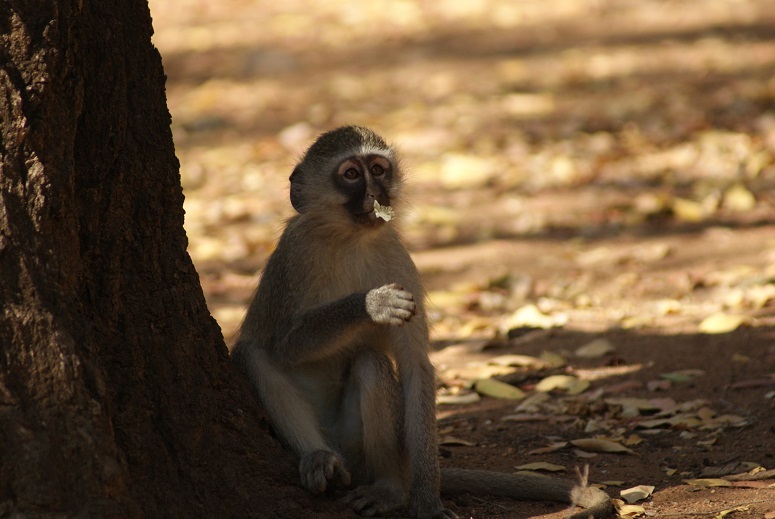 They primarily eat mice, rats, and other small mammals, although have been recorded eating birds, reptiles, amphibians, and insects. 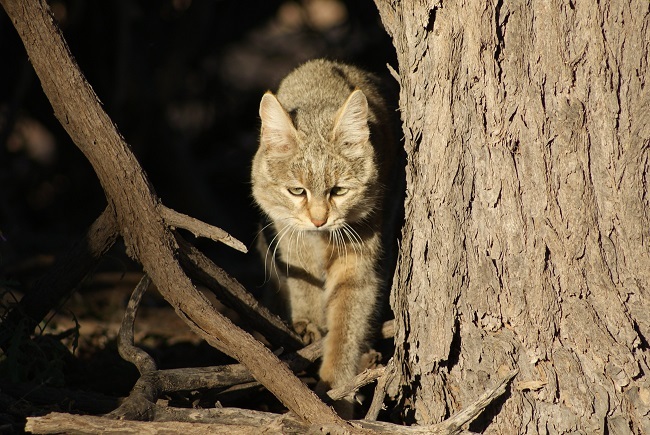 I find it exciting to come across one of these solitary, elusive creatures that inhabit wooded grassland and savanna. 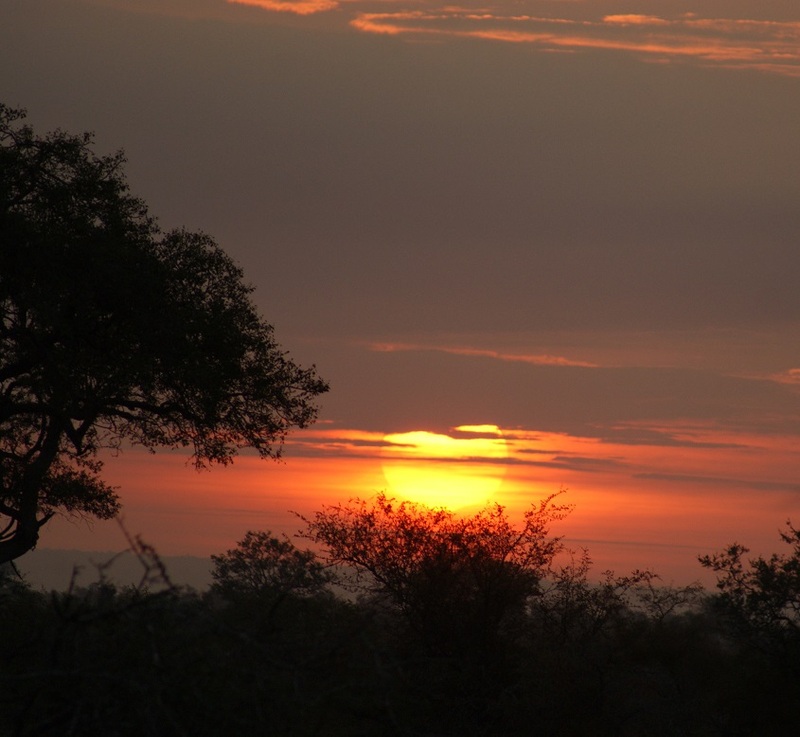 These photographs were taken in both the Kruger National Park and in the Kgalagadi Transfrontier National Park. Erythros is the Greek word for red. The genus Erythrina is derived from this word – an allusion to the colour of the flowers, such as this Erythrina lysistemon, photographed in the Addo Elephant National Park. I have often mentioned the Erythrina caffra that towers over our back garden. 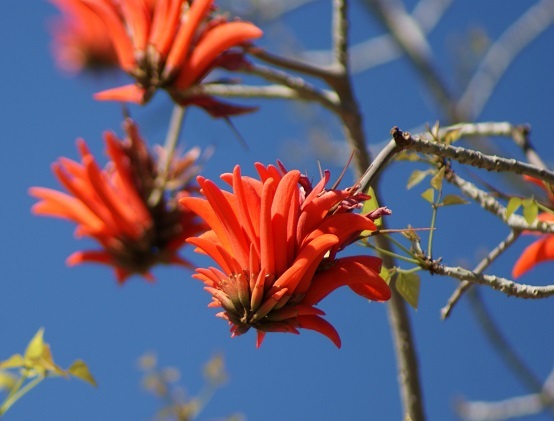 Collectively, Erythrinas are known as coral trees these days, although some also refer to them as ‘lucky bean trees’. 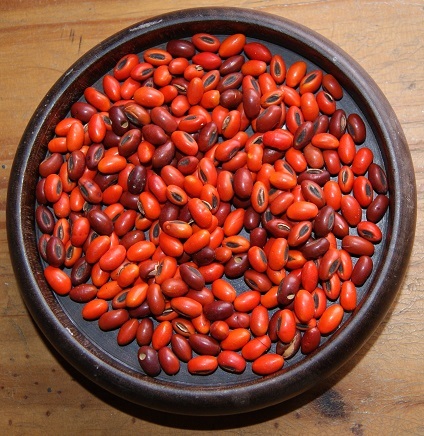 This is a reference to the bright red seeds that split from the black pods. These can be found scattered on the ground below the trees and are often collected simply to look pretty in jars, or to be made into necklaces or bracelets. Combine erythros with phobia to form erythrophobia and you have the word to describe an extreme fear of blushing, or a hypersensitivity to the colour red. My dictionary also gives me erythrocyte, which is a blood cell of vertebrates that transports oxygen and carbon dioxide combined with haemoglobin. 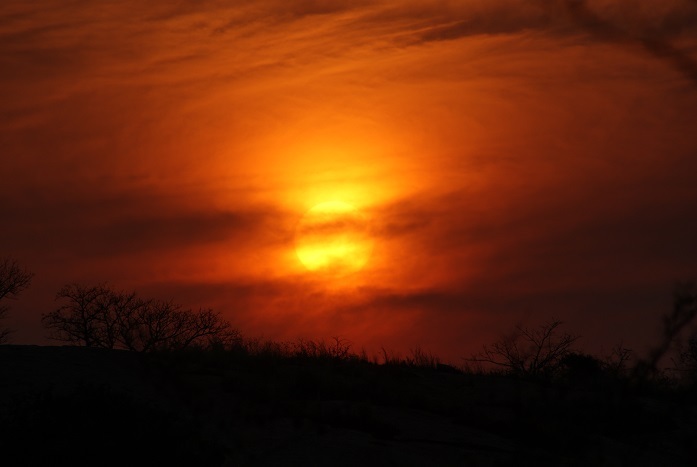 Given all this information, could we then (just for fun) describe a particularly red sunset as an ‘erythrostic’ sunset? 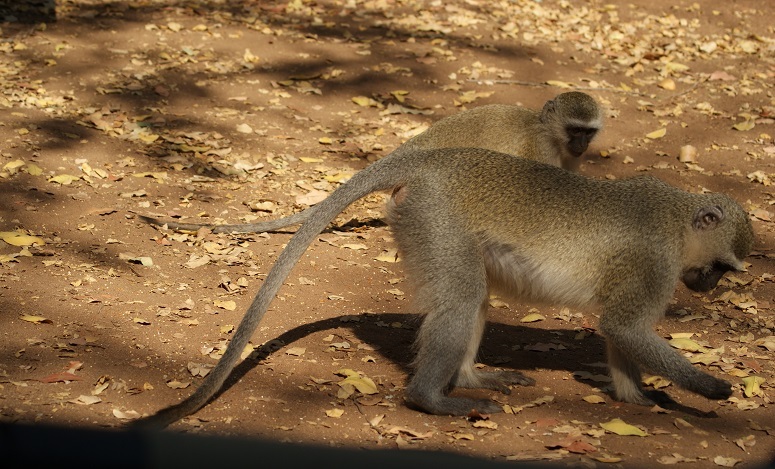 I present two examples, both taken in the Kruger National Park, for you to look at while you decide. 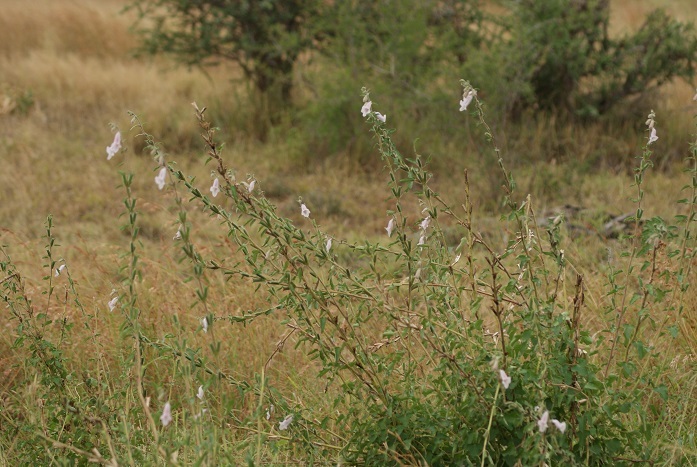 The Wild Foxglove (Ceratotheca triloba) reminds me of summer and early autumn in the Lowveld. 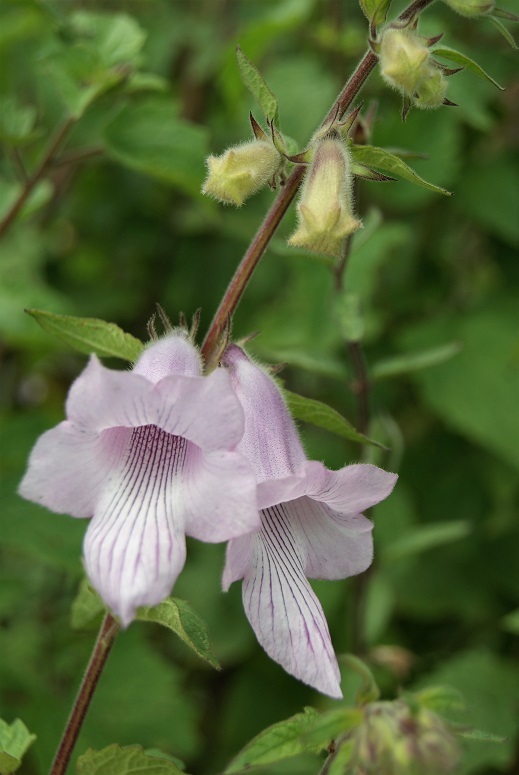 Ceratotheca refers to the horned capsules and originates from the Greek kerato (horned) and theke (a case), while triloba refers to the plant having three leaves. It might not be as ‘showy’ as the exotic ones favoured by gardeners, but it has a beauty of its own – especially when seen growing in clumps, as we did in the Kruger National Park. The bottom flowers bloom first and form fruits while buds are developing higher up. 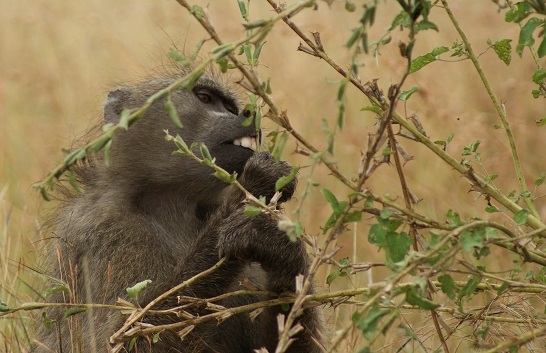 Here a plant is being given a thorough going through by a Baboon. This process left many of the tall spikes stripped of their blossoms and the stems bent and broken. 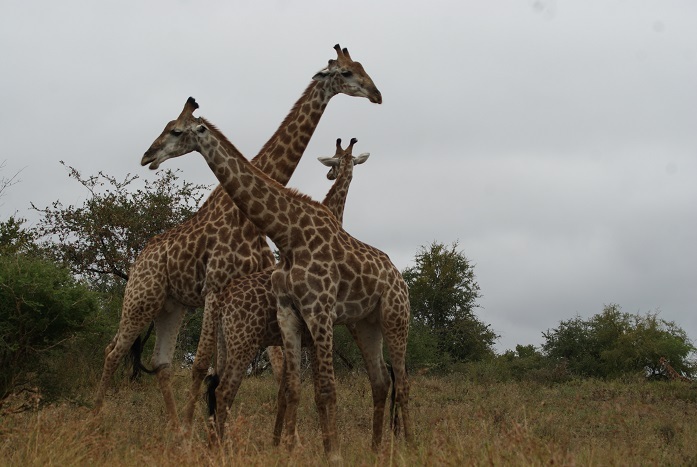 It is always pleasing to see them on our infrequent visits to KwaZulu-Natal too. Here it is easier to get a closer look at the trumpet-shaped lilac flowers with their characteristic dark streaks at the throat. The latter are easier to see from close up as the flowers hang in clusters – hiding this beautiful aspect from the average passer-by. 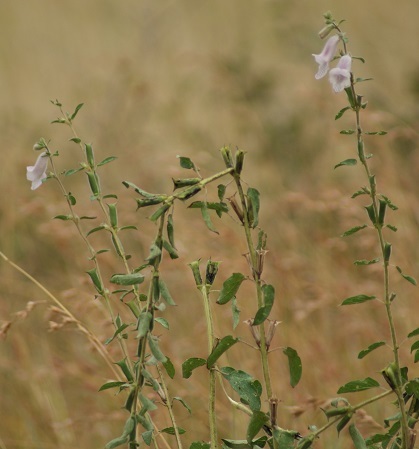 They tend to grow in disturbed soil and so are commonly seen along the side of the road and in grasslands. 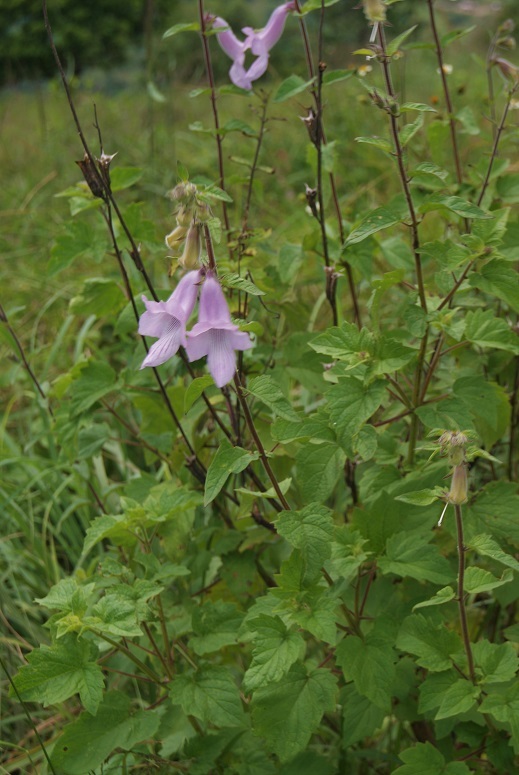 Despite its name, this ‘foxglove’ actually belongs to the ‘sesame’ family! It was the poet John Donne who first told us that no man is an island, implying that we cannot live entirely without contact with other people i.e. we do not thrive in isolation. Simon & Garfunkel sing the refrain, I am a rock / I am an island, claiming to be self-sufficient – for the time being anyway. To isolate ourselves is neither possible nor a good idea claims the philosopher, Karl Popper (1902-1994). According to him, we are social creatures to the inmost of our being. True: so are many other animals in their own way, which is possibly why we enjoy scenes such as the ones below as they reflect the empathy we have for others and connect with our desire to be regarded as being ‘special’ to someone.